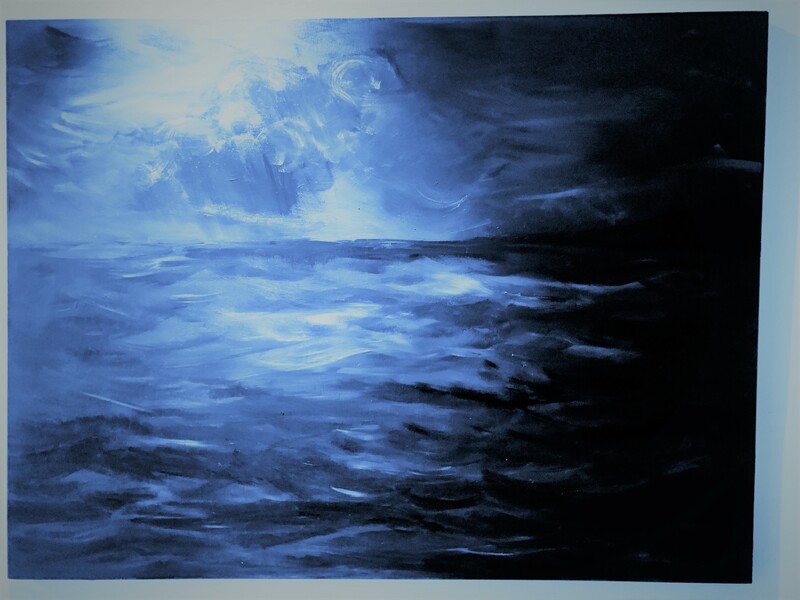 Acrylic painting by Lahle Wolfe, 2018. December 3, 2018 — Today marks the six year passing of my father, David Burnadette Wolfe. He would understand the meaning of this painting and so it will rest there for now. This acrylic painting served as an interim painting between two others that were born and left in the layers of this canvas. This painting was the middle layer. Below it was leopard that failed to capture my heart and so I painted “Invisible Blue Man” on top of it.